I'm back. It's been over a year that I've blogged. It's not the worse thing that I've ever done but neglecting my blog is pretty bad. Sure my book, South Beach Star, was finally published but hey, I didn't go on the whirlwind tour that I had dreamed. I did do readings and book signings where I sold lots of books. I met some great people and even had a few mishaps. One bookstore in Atlanta closed a month before I was scheduled to make an appearance. Oh well. The book is still selling but now I'm trying to pitch it to companies like Starz as a project for a series. While I thought I would have my next book, Catch A Falling Star, finished by now I happened to take a series of jobs that kept me too busy to work on my own writing. Now, freed from those jobs, I'm back at work on Catch A Falling Star. Again, my apologies for not blogging but I was busy working, writing for others, and treating life as the adventure that it is. Check the the photo of me and my friend Rula after our great ride on the Goodyear Blimp. 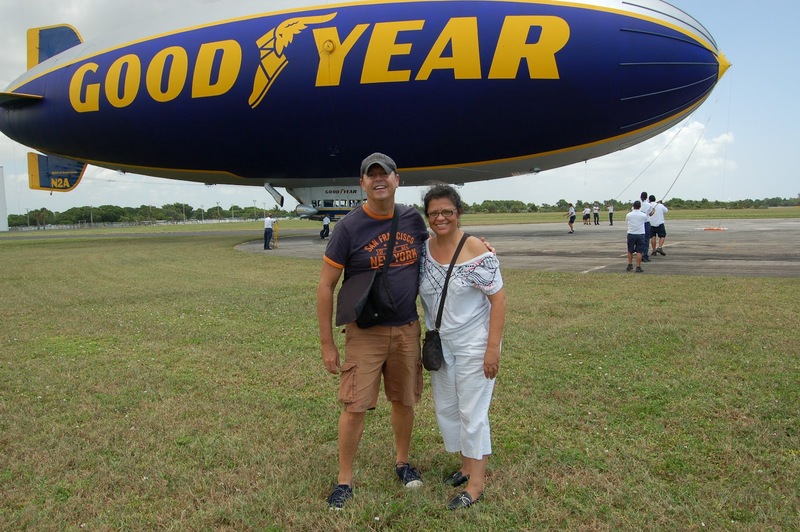 I felt very fortunate to take this ride as it's not open to the public and there are only three Blimps in the U. S. Thanks again to everyone who has bought copies of South Beach Star. I'm still hearing from people from all over the world who have read the book and it's reunited me with lots of old friend. Until next time, Cheers.